Was it almost 4 weeks ago we played England? Must have been a decent bit of damage for CJ to still have a shiner!! These pics are from February 11th. Do we know if hes back for Wales game? I believed eve joe was talking about the France game, and if so you’d imagine we’ll see him this weekend. Phenomenal if so. Need him for Wales - great if he makes the bench this week for Scarlets. What about Joey though, how bad does his injury look? Reportedly warming up with the Ireland squad this morning. An update due later today apparently. Sinead Kissane tweeted a short video of Joey doing a warm-up and stretches. Good to see him doing that at least. Fingers crossed. Simon Easterby on Joey in todays IT. “Joey trained today and ran and conditioned pretty well. It might be just a little bit too soon for him,” said forwards coach Simon Easterby. Sounds like he probably shouldn’t be risked against Wales!?!????? 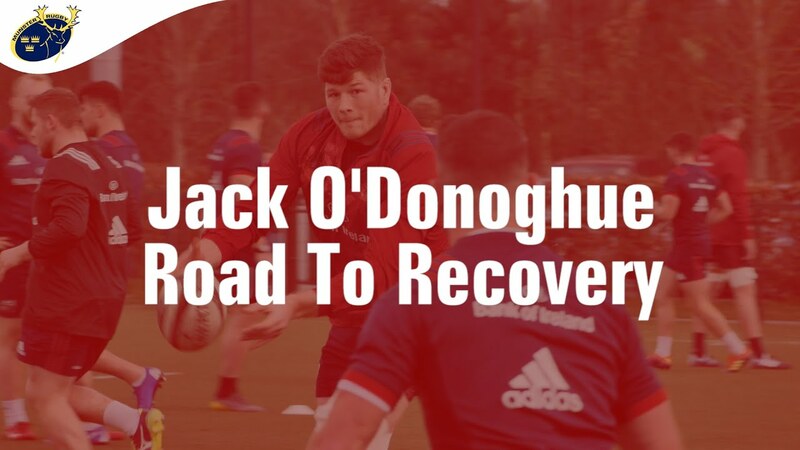 Yes, give him a run out against zebre! Last edited by jagawayagain; 7th-March-2019, 07:28. Brilliant video, really good insight.